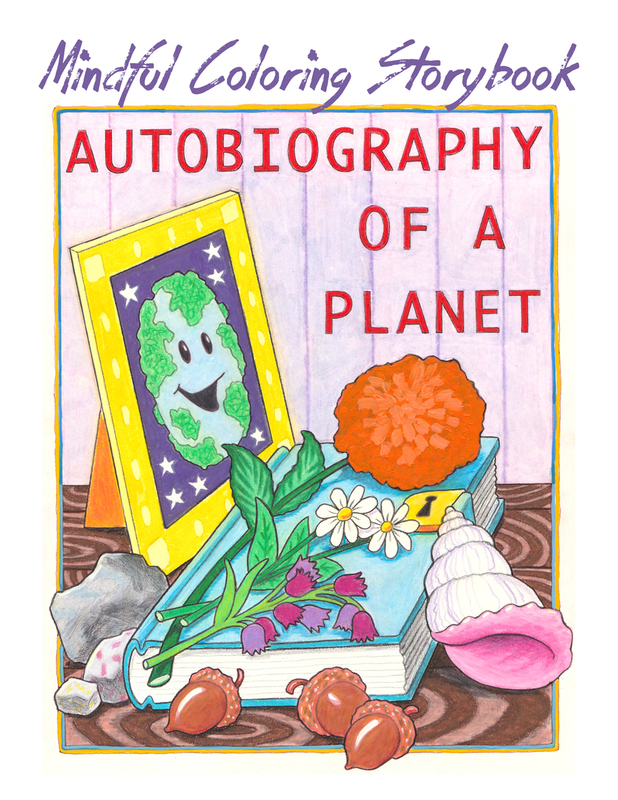 Earth Day Booklet & Sale! 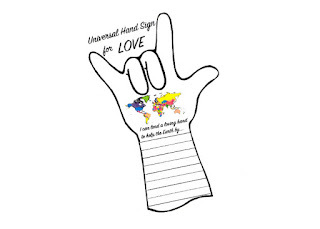 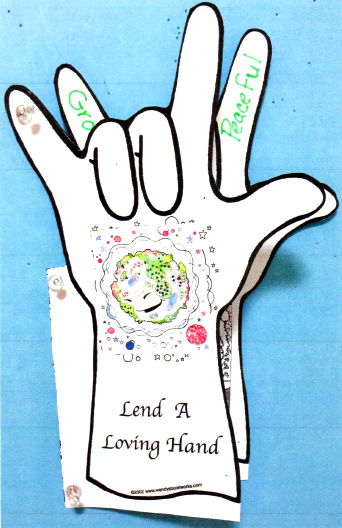 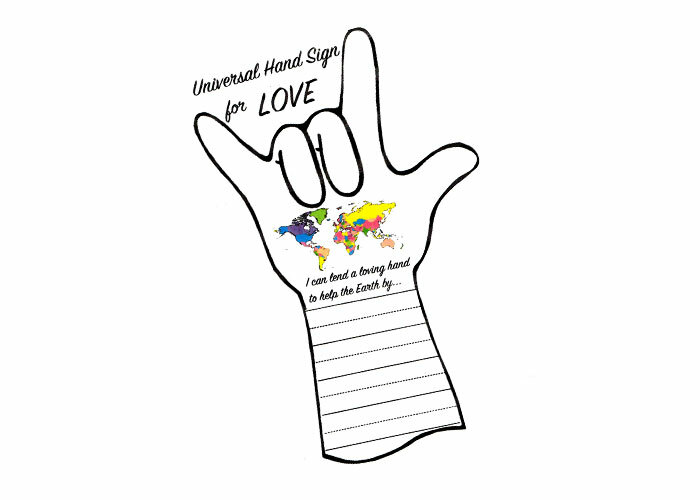 Use the pattern for the “Universal Love Sign” to make a shape booklet that shows cause, effect, and solutions to our environmental problems. It asks the student to make a statement about how he or she can help. 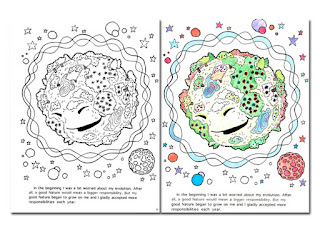 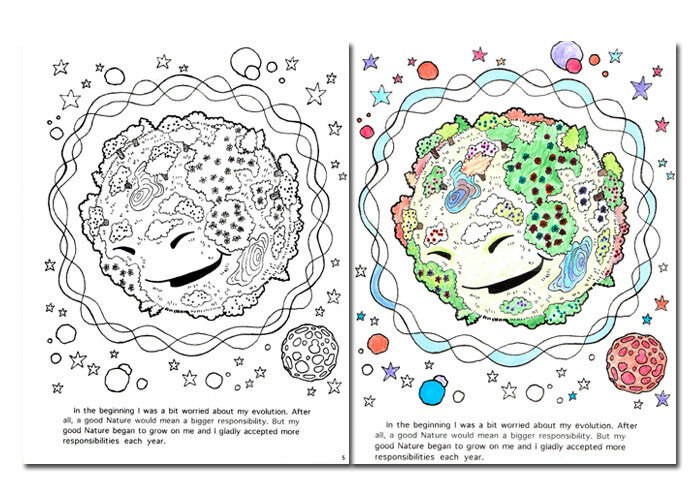 "Autobiography of A Planet - A Mindful Coloring Storybook"
A 32-page storybook with black and white illustrations that can be colored by you and your kids. It is the story of a young planet whose inhabitants begin to take advantage of their environment and start to destroy it. 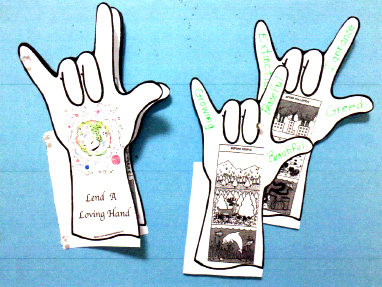 The planet asks you, the reader, for suggestions on how to fix the situation and write the ending of the story. The last page asks you to "lend a loving hand”. 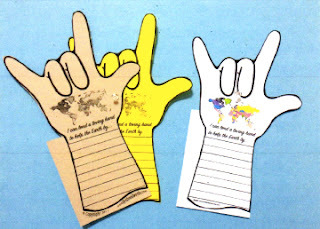 It can be used as a “stand-alone" project for a cork board decoration or classroom activity. Download the pages and assemble and bind the book following the instruction pages. 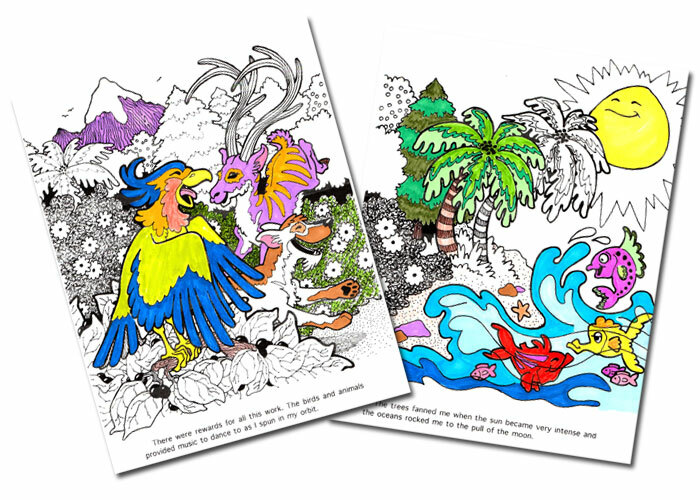 Available on TPT and Teachers Notebook.